Van Dyke Parks, Roy Moore, and the chaos of a crumbling American empire. “He is not your run of the mill garden variety Alabama country fare.” In 1968, Van Dyke Parks sang an obscure ode to his friend and fellow musician Steve Young and Southern “hayseeds” transplanted to hip Silver Lake in Los Angeles, not where “Bohemians often bare the frigid air.” Parks’ Song Cycle is my favorite album by many miles, a record I fell in love with nearly eight years ago and still manage to hear new overdubs, new instrumental flourishes, and new turns of phrase and puns and musical quotes. It’s remarkably dense and rich for an album that only runs 33 minutes. Always a bridesmaid, never a bride, Parks is still obscenely underappreciated and unknown: he was Brian Wilson’s lyricist on SMiLE, an album that never came out because Brian cracked up and Mike Love was a total prick, pinning Parks in a corner one day, demanding that he explain the meaning of two lyrics, one from “Surf’s Up,” Brian Wilson’s masterpiece: “Columnated ruins domino”; and “Over and over the crow cries uncover the cornfield” from “Cabin Essence.” Love dismissed Parks’ brilliant lyrics as meaningless “acid alliteration,” and the collaboration collapsed early in 1967. Everyone was worse off for it. But at least Parks kept his head on straight. We all know what happened to Brian, but guess who’s an ardent Donald Trump supporter these days? Song Cycle is an earnest exploration of Americana and what it means to be an American, a whirlwind whiplash musical masterpiece created by great Americans. Fifty years later, the American Empire is crumbling: we may still have electricity and running water—well, most of us—but the age of optimistic immigrants and foreigners looking up to our country as some beautiful example of a successful bold experiment, that’s all over. Our “resident President” appears very close to stroking out, a troglodyte evangelical with a wandering eye that leers too low almost became a Senator, and most of Southern California is on fire. Things will only get worse from here. It’s important to reaffirm and reconsider what makes our country exceptional and to recognize its numerous flaws. But we must never lose sight of the abstraction that is “America”: freedom of speech, freedom of expression, every man created equal, the pursuit of happiness. How these ideals manifested themselves in the past does not disqualify how we may reapply them in the future. 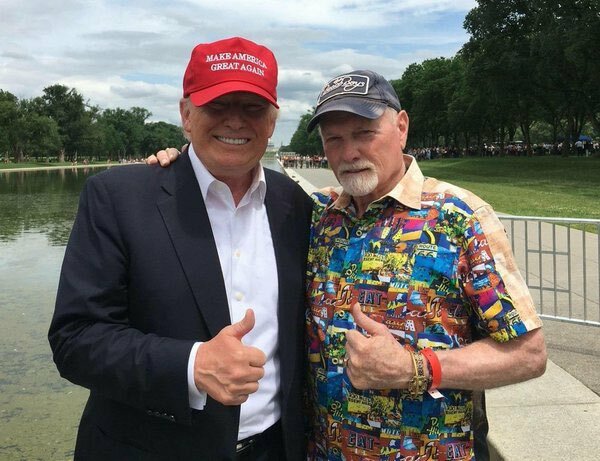 Totally agree that Surf's Up is Brian Wilson's greatest masterpiece, but can you imagine poor jockish, dumb Mike Love being presented with those lyrics, which I think Parks even admitted he didn't understand? Even though I despise Love, I can almost empathize with him in this particular plight. How could he be expected to sing something he had no understanding of? How do you know more about the music of my era than I do, whippersnapper?